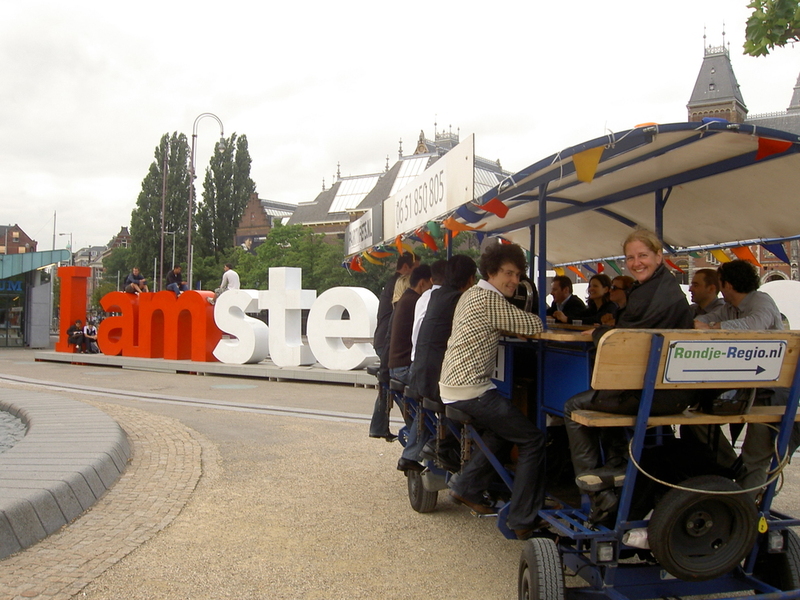 Beer Bike tour Amsterdam - Private group bike. 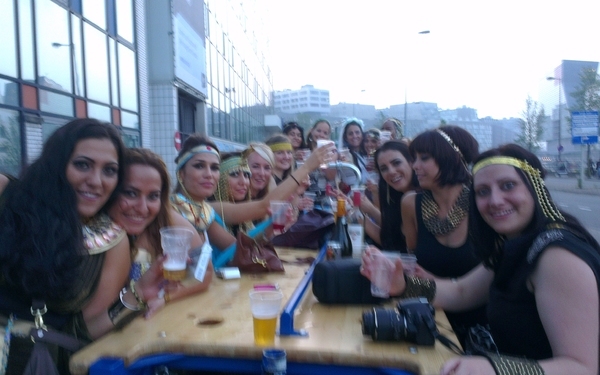 You can call it Beer Bike, Beer Bus, Party Bike, Pub Bike... We will provide the best deals. Ideal for companies and stag do’s, because it’s around the centre of Amsterdam and ideal to combine with other activities. 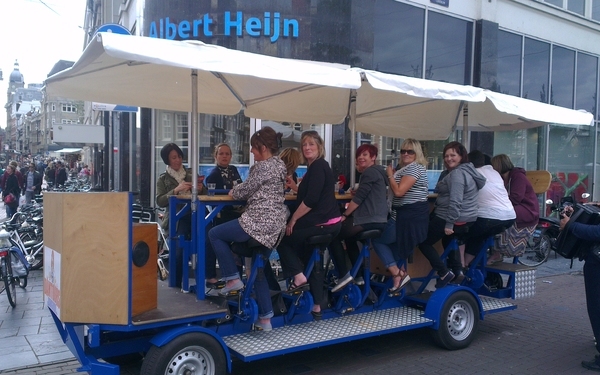 Our beer bikes are the only bikes in Holland with pedal assistance. Due to the canopy top we can go around the whole year, whether it’s sunny or rainy. 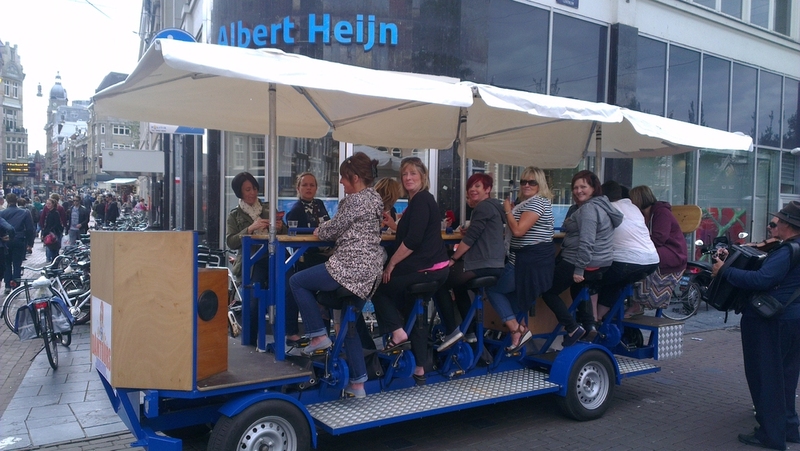 The beer bike is suitable for 5 up to 16 persons. We have multiple bikes so bigger groups are not a nproblem. Contact us to get informed about the special rates for bigger groups. 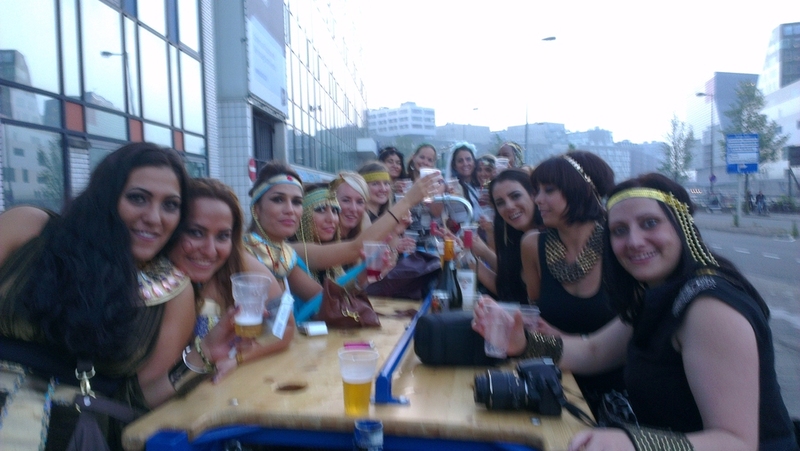 When someone of the group does not drink any beer, he or she can take her own drinks to the beerbike. Moreover, we can provide you a bottle of Prosecco for just € 10,00. 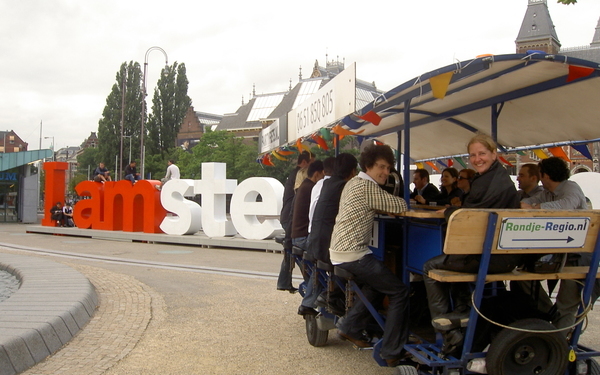 The beer bike is ideal to combine with other activities in Amsterdam. We can plan a day for you, that will fit within your schedule, with multiple activities if you would like to. We have activities for every size of group and every budget. It is possible to plan th activities on seperate days.